The international airport in Simferopol - a majorair hub in the Crimean Republic, located near the town. It connects the peninsula with all regions of Russia, as well as with the European countries, the Middle and Far East. Simferopol Airport is directly connected to the cityseveral trolleybus routes - number 54, 55 and 9, which go to the central areas of the city. Pull up to the air port is possible by car, along a scenic road, over time it will take about half an hour. 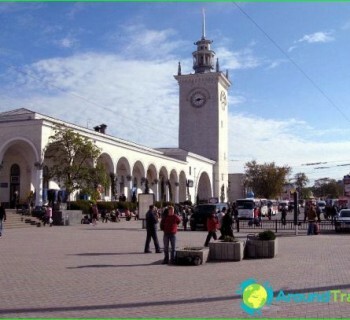 Well guarded paid parkingparking occupies most of the square in front of the terminal building in Simferopol, therefore, leaving the car here on the travel period, the airport, guests can absolutely not worry. The first 15 minutes of parking are free of charge, making it easy to meet and see off. the storage chamber is located in a buildingairport of Simferopol on the ground floor. Nearby is the point of packaging and luggage. Specialists in less than a minute wrapped suitcase or bag in a special dense film, which protects the luggage against unforeseen contamination, damage and tampering. cafés in the Simferopol airport itemsfast food and restaurant. In addition, in the reception area and the "sterile" zone open shops offering all kinds of products, especially those that may be required during standby. Waiting for visitors and boutiques with perfume, branded clothing and alcoholic beverages in the arrivals area and departure of international flights. Here you can buy products that are not taxed. The airport terminals are a number of bank branches, ATMs around the clock and valyutoobmenniki, so the air station, visitors can easily make all necessary financial transactions. In all the airport terminals is available unlimited internet access Wi-Fi. 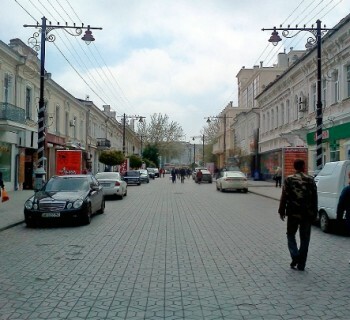 Entertainment in Simferopol - a photo. Amusement parks in Simferopol. Things to do in Kiev? What to do and where to go in Kiev?